Traditional understandings of God as deliverer depict God as a mighty liberator-warrior and wrathful avenger. 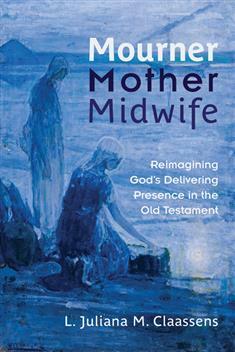 Juliana Claassens explores alternative Old Testament metaphors that portray God as mourner, mother, and midwife—images that resist the violence and bloodshed associated with the dominant warrior imagery. Claassens discusses how metaphors of God as life giver began to develop in the aftermath of the trauma of Israelite exile. She offers compelling examples of how this feminine imagery still has the power to inspire hope amidst violence in today's world. She demonstrates that God's delivering presence helps people of faith cope with trauma and suffering on many levels—individual, community, national, and global—while bringing forth new life out of death and destruction. "Juliana Claassens writes a compelling and moving book that challenges the centrality of the violent, punitive God in interpretation and theology. To broaden our biblical perceptions of God, she zeroes in on biblical images of God the Deliverer, Mother, Mourner, and Midwife. The result is a theological refreshment that expands interpretation, addresses pain in the face of empire, and draws upon the women's experience to tell of a life-giving God. Claassens' book will make an excellent teaching text and provide resources for interpreters hoping to discover new ways to speak of the Holy One, ever ancient and ever new."